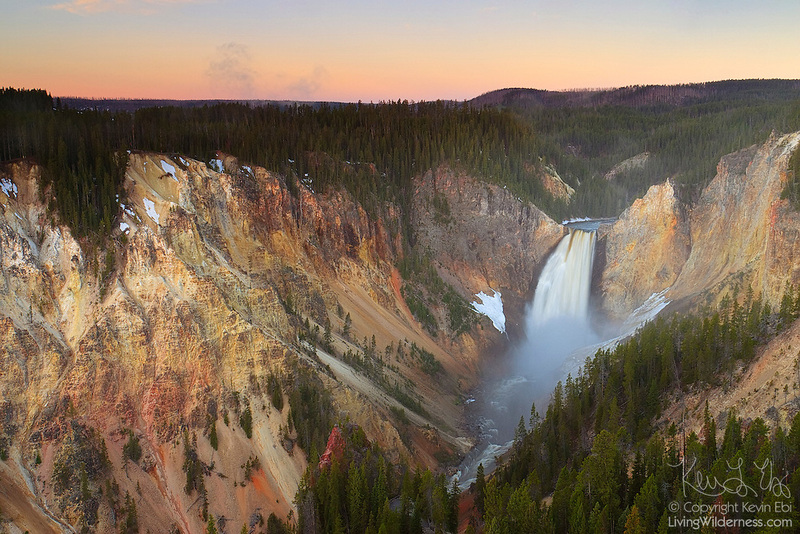 Lower Yellowstone Falls seems to glow in the first light of day as it empties into the Grand Canyon of Yellowstone. The Yellowstone River drops 308 feet (98 meters) at Lower Yellowstone Falls; the upper waterfall is roughly one-third the size. It is the largest volume waterfall in the Rocky Mountains of the United States.